Special MINT Promo: Join today for 50% off your first month on any new membership JOIN NOW! Holiday season has already begun, which means our normal routine is altered as we are busy with travel plans, visits with family and friends, more time to veg around, and routine gym closures. Just because you will be busy during this holiday season, does not mean you shouldn’t take some time for yourself to maintain the fit bod you’ve been working towards. While it is human nature to indulge over the holidays with treats and sweets, it is important to keep up with an exercise regimen – to get you feeling accomplished, strong, and less guilty following those holiday meals. Because you may be traveling over the holidays and/or the gym has adjusted hours over the holiday weekend, that does not mean that you can’t find a way to work out in the comfort of your own home. 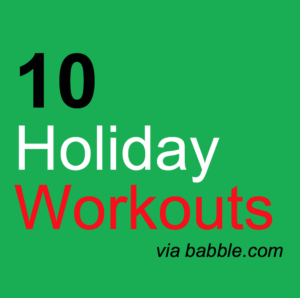 Take a look at these fun holiday themed workouts to give you some inspiration and incorporate them into your routine over this holiday season! Enjoy! 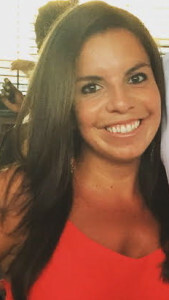 Melanie Rubin is a Physical Therapist in DC and a group fitness instructor at MINT. Have you been naughty (couch surfin’) or nice (working of holiday indulgences)? Either way… get a head start on your New Year’s resolutions with a special new MINT membership deal. Join MINT (through an online membership purchase) anytime between Dec. 22 and Dec. 27, and get FREE classes in January and THREE personal training sessions to use during January! Christmas, Chanukah, Kwanzaa, New Year’s Eve, etc, etc, etc. Whatever it is you celebrate, we hope you truly enjoy it and spend time with family and friends. But that doesn’t make you have to halt your active lifestyle. MINT Ambassador, Erika, rounded up some creative ways to stay active during the holiday season! 1. If you’re staying in DC, check out an indoor neighborhood pool. 2. Play with the kids! Got cousins, nieces and nephews? Put them to work! Play TAG! volunteer to be “IT” for a few rounds and see how many steps you can rack up. 3. Make your holiday gatherings a game! 4. Dust off mom and dad’s throwback VHS/DVD workout videos and get your sweat on, old school style. Jazzercise, anyone? 5. If you’re heading out of town, or back to your hometown, pop into your local fitness club or studio (solo or grab a family member or friend) and ask about a visitor pass or short-term access membership. 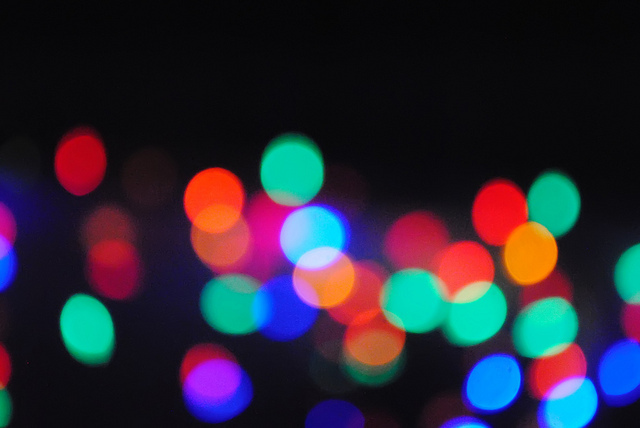 Enjoy the upcoming holiday season – no matter what you’re celebrating! Want to share the MINT love this holiday season? 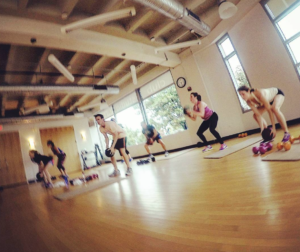 Give the gift of a short-term Cardio + Strength + Classes MINT membership! Buy the special person (or people!) 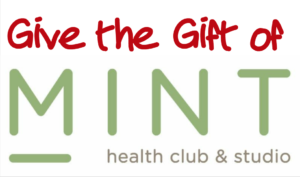 in your life a one or three month membership to MINT and as a “thank you” for spreading the good word about MINT, you (the MINT member) will get one personal training session to use in January. *Gift memberships can only be purchased by current MINT members only. Recipients of gift memberships cannot be current MINT members. The holidays are right around the corner! 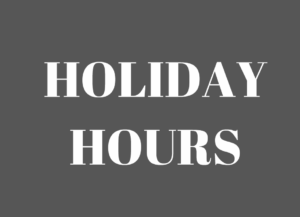 Make sure you know our holiday hours so you can plan your workouts accordingly! NOTE: MINT Dupont will be closed for extensive floor refinishing work. *Since MINT Dupont will be closed Dec 24, 25 and 26… we are offering a transportation subsidy to help you get to MINT Downtown for your workout! Here’s how it works. Trip must be taken within MINT Downtown hours from the front of MINT Dupont directly to the front of MINT Downtown using only UBER. Member must have checked in at MINT Downtown within 10 minutes of trip ending. One way south only, one trip maximum per day. Email your detailed UBER receipt(s) with map showing the route to accounting@mintdc.com before 6am Monday, December 26 and we will credit your card on file. Receipt must contain the route information per above. Please understand that we cannot make any exceptions to the above conditions. Enjoy! Holidays are approaching, and that means one thing… holiday parties. At first, seeing your loved ones, coworkers, or friends gathered around an endless buffet and bar sounds enticing. But after two months of nonstop celebrations, it may be a frustrating struggle to fit into your favorite jeans. Well, we have a couple solutions for you to avoid packing on those pounds throughout the holidays! 1. Eat Before Going to a Party. Before you head out, enjoy a healthy snack (or meal) to curb your appetite. Eating a healthy, substantial breakfast in the morning can prevent overeating later on in the day. Right before a party, eat a filling snack with protein and complex carbohydrates, such as peanut butter with whole wheat crackers or hummus and carrots, to hold you over. It is totally fine to indulge in a piece of pumpkin pie—just not the third or fourth slice. Feel free to enjoy the dessert, but try using a smaller plate. Studies have shown that when smaller plates or bowls are used, a smaller portion is viewed as “more filling.” Choose your indulgences wisely! 3. Keep Up the Exercise. Even if you do not have time for your normal gym routine, try and fit in exercise wherever you can in your busy day. Shovel snow, clean for houseguests, dash through the stores in search of presents, or even just go for a walk after dinner. 4. Provide a Healthy Dish to the Party. 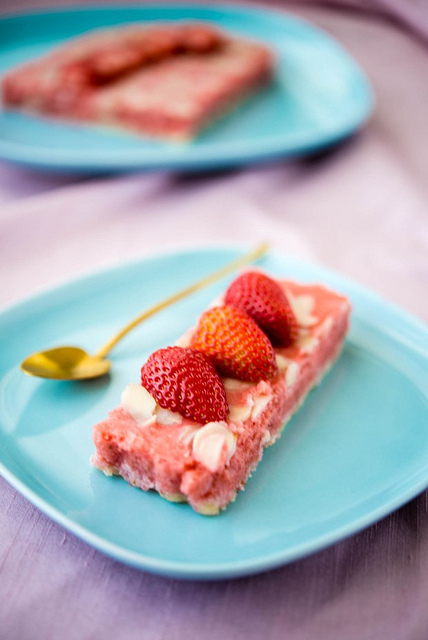 Instead of bringing yet another dessert, offer to bring a healthy dish to the party. There are tons of holiday recipes that are modified to be a bit more health conscious. For example, if your signature dish is “Green Bean Casserole,” slim it down with fresh mushrooms and vegetable broth—instead of the cream of mushroom. 5. Stay Away from the Table. If engaging in conversation, try to stand more than an arm’s length away from the snacks that may be out before the meal. While chatting, you may not notice yourself even reaching for the nuts or chips on display. Therefore, stay as far away (as possible) to avoid temptation. Fill your plate with vegetables and fruit first before moving onto the creamy mashed potatoes and honey-glazed ham. The fruits and vegetables may fill you up first, and remember—everything else in moderation! These are just a few suggestions to keep you on track throughout the holiday season. It may seem impossible to prevent any weight gain, but all the more reason to stay active at MINT Health Club & Studio! Johanna is a MINT Ambassador. Fitness as well as eating right have always been two major passions of hers — her first degree was even in Nutrition! 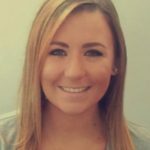 After finishing up her Master’s this past summer, she now works as a Registered Nurse, but when she’s off, you can find her running or lifting at the gym.